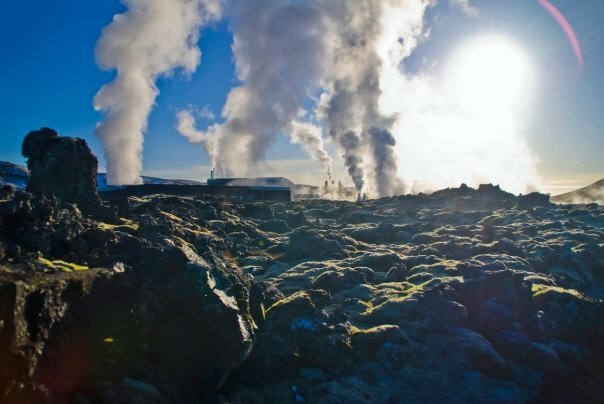 Recently it was revealed that ten billionaires from Canada and the US are seeking Icelandic citizenship to ease their access to invest in geothermal and hydro energy in Iceland. These two news articles were published on the Reykjavík Grapevine website (1 and 2). Ten people promising to invest millions in Iceland’s renewable energy field have applied for citizenship directly with parliament. The reaction from within parliament has been one of both bewilderment and suspicion. The ten individuals are apparently from outside the Schengen area. By Icelandic law, this would normally mean they would need to live here, work, not leave the country for more than six months at a time and remain a resident of Iceland for seven years before they could even qualify for citizenship. However, Iceland has made exceptions in the past for those applying directly to parliament – most notably with certain athletes and chess player Bobby Fischer. These ten individuals, however, have said that they intend to invest millions in the country if they are granted citizenship, news website Eyjan reports. Róbert Marshall, chairman of the parliamentary general committee – which handles citizenship requests – told Kastljósið (a daily news report show on the National TV station RÚV) that while he would not comment on these specific applications, he does believe that the government should examine whether or not the promise of citizenship could be used to attract professionals and investors. For her part, Prime Minister Jóhanna Sigurðardóttir says she has worries and suspicions about the applicants. Their cases are currently at the parliamentary general committee pending review. Of the ten wealthy individuals claiming they will invest millions in Iceland if they are granted citizenship, at least one has run into legal trouble over suspicious business dealings. As the Grapevine reported, ten individuals being represented by a lawyer, whose speciality seems to be tax shelters, have all applied for citizenship with parliament. They do so with the offer that if so granted, they will invest millions in Iceland’s geothermal energy sector. Reaction from within parliament has ranged from cautious to suspicious, with Minister of the Interior Ögmundur Jónasson saying that “citizenship is not for sale”. Some digging (i.e. Googling) was done on some of the people applying for citizenship, and some interesting revelations were brought to light. Nearly all the applicants have experience in the energy field around the world, primarily in Russia, eastern Europe and Asia. However, one of the applicants, Aaron Robert Thane Ritchie, was forced to pay a $40 million fine to the Securities and Exchange Commission in 2008 for his company’s involvement in an illegal late trading scheme. In related news, chairman of the parliamentary general committee (which handles applications for citizenship) Róbert Marshall emphasised that he does not want to sell citizenships; only that the promise of Icelandic citizenship has been used in the past to attract athletes and artists, therefore using citizenship to attract investors who could create jobs was not entirely out of the question, and needs further examination. Nice article, it inspirated me to hunt for more information.